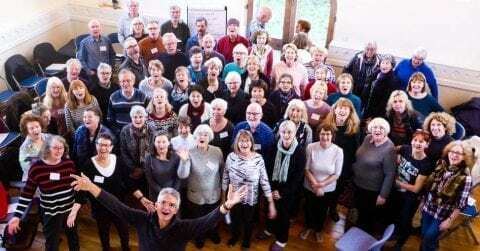 Lakeland Voices will be singing songs from our recent tour of Slovenia in the new Black Bull Hotel, which is opening the day before on Sedbergh High Street. We’ll be giving our full-voiced encouragement to this fantastic new venture by the owners of Sedbergh’s Three Hares bakery, and welcoming Mihaela Znidarsic who is coming that day from Slovenia to live and work in Sedbergh. You are welcome to join in, or just listen. Free, gratis and without any charge..